Have questions? Lacto-fermentation, what is it? Is it good for my health? Does it preserve vegetables? Is it safe? Tired of getting different advice all over the web? “Lacto-fermenting: The Easy and Healthy Way” eCourse is what you have been looking for and your answers are here. This eCourse will not only explain what you need to know to lacto-ferment foods, but also how these probiotic rich foods are great for your health. This eCourse is divided into 11 easy to view video lessons that you can work through at your own pace. Practical use – many great food use ideas are presented, these are taste good foods. These three attention points are followed in the lessons so you come away from the eCourse Lacto-fermenting: The Easy and Healthy Way not only having learned how to lacto-ferment, but you’ll actually have a complete picture of how to enjoy these foods daily. The eCourse “Lacto-fermenting: The Easy and Healthy Way” is designed for you to experience at your own speed, on the media device that you feel comfortable with. 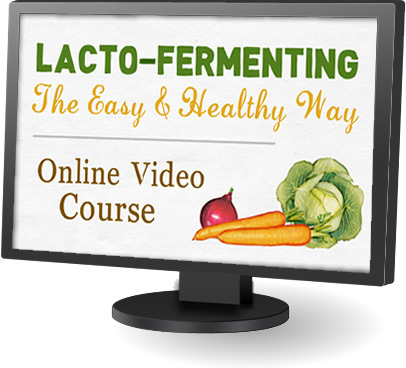 This eCourse “Lacto-fermenting: The Easy and Healthy Way” offers support beyond the lessons – for a full year. Complete thought out information that is a must-have, even if you have already done basic lacto-fermenting. Shannon is the author of “Cooking God’s Way Daily Recipes”, “Sourdough Baking Made Easy”, and “Lacto-fermenting The Easy and Healthy Way”. 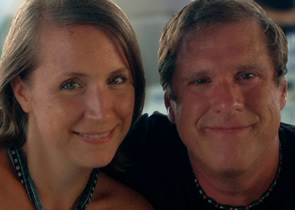 She developed the hundreds of healthy eating recipes of CookingGodsWay.com, which has an outreach in over 100 countries. This 11 lesson Lacto-fermention eCourse is open for you to begin now. For a low cost you will be given the tried and tested information that is designed to bring life and revitalization to your food menu as you continue to use it over the coming months and years. 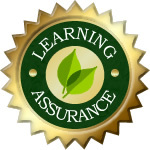 We are offering you learning assurance peace of mind. So can rest assured that when you complete the eCourse you will understand how to “Lacto-ferment: The Easy and Healthy Way”. Our learning focused eCourse gives you supporting documentation to read online, or print out, along with personal support from us. Get the “Lacto-fermenting: The Easy and Healthy Way” eCourse by hitting the following button and begin your new journey.